Himachal ski tour is planned to let you slip your feet into heavy skiing boots, clamp them on to the skis and enjoy the act of gravity with an adrenaline rush in your blood. Being on this tour enjoy being in the lap of the might Himalayas surrounded by towering snow capped peaks. Some of the World's best skiing areas are located in the Indian Himalayas. 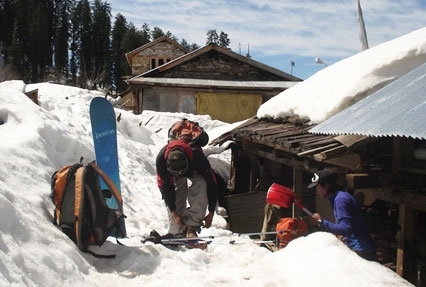 Solang and Auli are small but nice areas for ski lovers and learners. Ski down the Patalsu Peak before 12 noon considering it to be South facing slope. 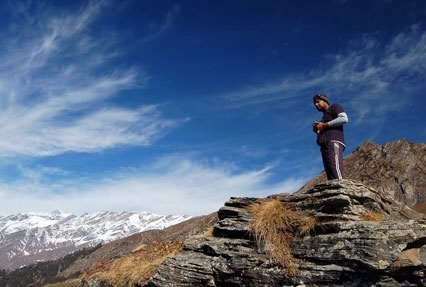 Upon reaching Manali, meet our representative who’ll guide you to one of our listed hotels. Check-in at the hotel to relax in the cozy comfort of its room. 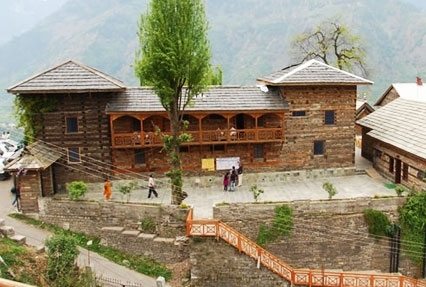 Later in the day proceed to visit Naggar castle, Nicholas Reorich Art Galleryand the Urusvati Himalayan Folk Art Museum. After the visit return to the hotel for dinner and overnight stay. Next morning after breakfast, transfer to Solang valley. 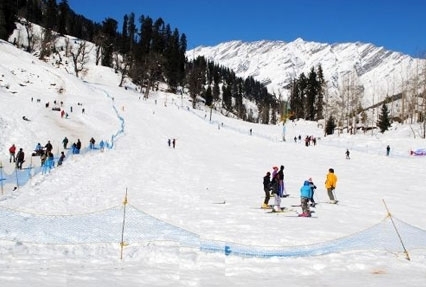 Start with the basic ski lessons down the alpine slopes of Solang valley. After lunch climb to Phatru ridge and ski down from its North facing slope. The terrain is open at the top but skiing down is through the forest of oak and walnut. In the evening return to the hotel for dinner and overnight stay. On the following day after breakfast head towards Patalsu Peak through the Solang village by crossing the tree line at around 3000mts. It will take 6 to 7 hours to climb Patalsu Peak. Start skiing down from the Patalsu Peak before 12 noon considering it to South facing slope. It is hard to reach the top but still it is possible to achieve 1000 verticals. Later in the day return to Manali and take a short trip to visit the hot sulphur water springs at Vashisht. Post breakfast, drive to Kothi and climb to Gulaba. The Gulaba surroundings are the massive alpine meadows which horizontally extend from 10 to 15 Kms. It is house to numerous ski runs. Being at Gulaba enjoy the mesmerizing view of the Himalayan ranges extending from Rohtang Pass in north to Dhauladhar in the west and Pir Panjal in the east. The magnificent slope provides the ski runs of 5 to 7 Kms. Enjoy skiing from the 1800 till 2500 mts. Enjoy overnight stay at the camps. In the morning after breakfast, trek to Sethan village. It will take 4 to 5 hours to reach Sethan village while trekking. On reaching Sethan village, check-in at one of our listed hotels. After straightening your backs for a while ski around the Sethan village. Late afternoon, return to the hotel for lip smacking hot dinner and a comfortable overnight stay. Post breakfast, climb over the tree line and enjoy ski touring around the wonderful alpine meadows. It will take 3 to 4 hours of walk to reach the slope. Witness the mesmerizing surroundings offering breath taking views. The slope here varies between 25 to 40 degrees. Enjoy dinner and overnight stay at the hotel. In the morning after breakfast, transfer back to Manali. Upon reaching Manali, check-in at one of our listed hotels. Spend the day at leisure. In the evening enjoy dinner and overnight stay at the hotel.